April 6th (Sun) “Kyoto Shimbun” and “Kyoto Shimbun web site”. 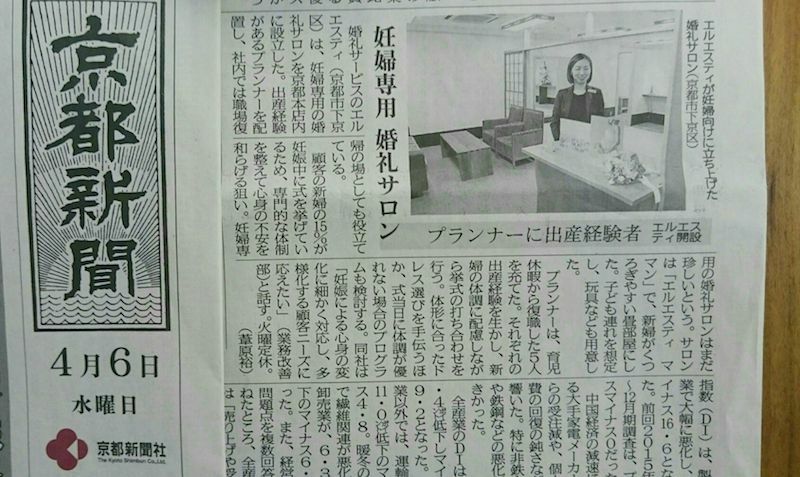 “LST maman” was reported by Kyoto Shimbun on April 6th. We are going to make it a pretty salon where pregnant brides-to-be and families with children can relax while they are planning their weddings.